Very pretty! That's a long time from the start until it was finally quilted! 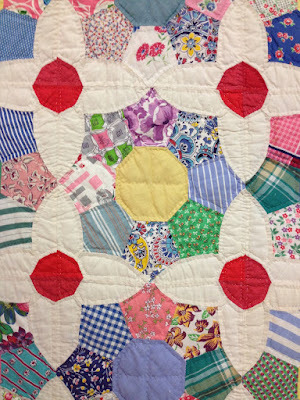 Quilts always do tricks to my eyes. Are they supposed to do that? What should I look at? The octagon or the crosses? Oh, goodness! What a treasure! Is Pat a friend of yours? 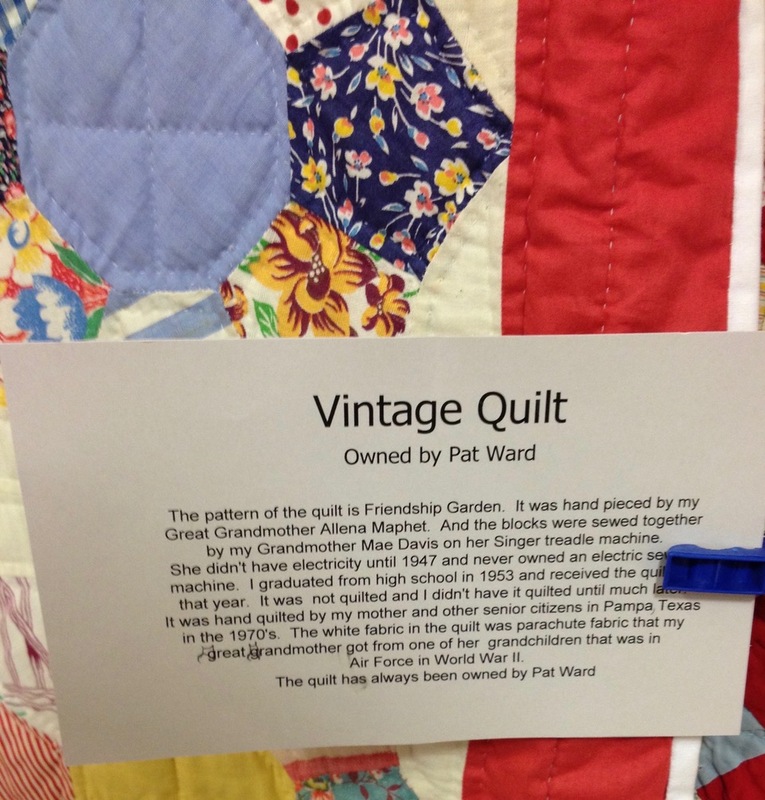 I wish all quilts came with their story. I love that this one is truly a family tradition. That is so beautiful, and even more so considering how it was made. Having a project that was completed by multiple generations is such a precious treasure. 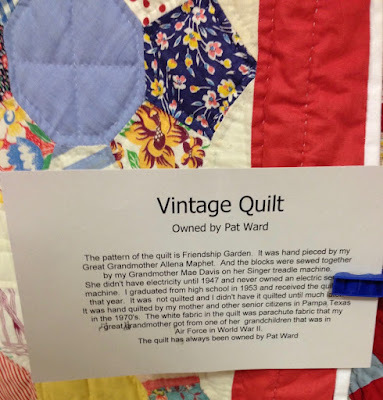 My goodness, the history that that quilt has in it! All of those women's loving hands making it and the parachute fabric sets it over the top. That is a treasure to be kept for all times. wow! 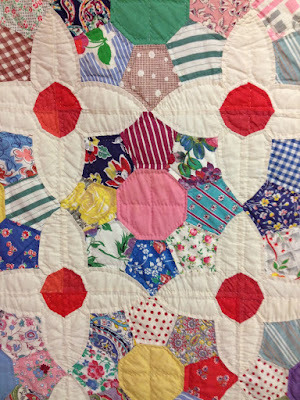 Parachute fabric...that is amazing, and what a lovely quilt! What an amazing and cute quilt that is. I loved the story of the maker and the quilt. Thanks for sharing Nancy.